Fionnuala Cook became President of the HCA after 21 years of representing the interests and making a difference to the health and social care of thousands of people in Northern Ireland. She was Chairwoman of the Southern Health and Social Services Council and then served for six years at Chairwoman of the Southern HSS Board. 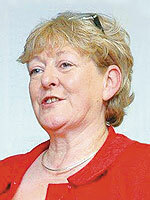 Her services in health and social care were recognised in 2002 when Fionnuala was awarded an OBE. She first entered public life in 1978 when her husband was elected as the first non-unionist Lord Mayor of Belfast and she became Lady Mayoress. Since then she has held a wide range of posts and roles including membership of the General Advisory Council of the BBC, and as a Board member of the NI Housing Executive. She has also chaired or been a member of numerous consumer and health groups such as the Craigavon Area Hospital Maternity Services Liaison Committee, the Research Ethics Committee of the University of Ulster and the NI Acute Hospital Services Review Group. Fionnuala was a Lay member and Acting Chair of the General Osteopathic Council and a member of the General Consumer Council of Northern Ireland. She has also worked in the Republic of Ireland where she has served on the Health and Social Care Professions Council of Ireland. Fionnuala, who is currently Vice Lord Lieutenant of County Down, was elected as a Trustee of the British Red Cross. She is a member of the Occupational Therapists Regulation Board in the Republic of Ireland and works with AGENI as Chair of the ABC Senior Network. Dr Wendy Austin is presenter of BBC Radio Ulster's Inside Business programme. She is one of Northern Ireland’s best known journalists and broadcasters, and in a career spanning more than 40 years she has worked in local and regional newspapers, commercial radio and for the BBC, radio and television, in Northern Ireland and nationwide. Wendy is much in demand for moderating conferences and awards ceremonies. In 2005 Wendy received an Honorary Doctorate from the Ulster University for services to broadcasting, and in the 2012 Queen’s Jubilee honours she was awarded an MBE for Services to Broadcasting and the Community. The HCA 2017 National Leadership & Development Forum Secretary, Elsa Witherspoon was a National Trainee in the 'Class of 1977'. Mike Hall, Vice President of the HCA was also in that class and they have remained firm friends for almost 40 years. Elsa has worked in Catering Management posts in all five Trusts in Northern Ireland covering General Acute, Psychiatric Hospitals, Residential Homes, Children’s Homes, Day Centres and Resource Centres. Her biggest challenge was the planning, commissioning and managing the Catering Services in the new Causeway Hospital, which opened in 2001. Elsa was very enthusiastic in her drive and commitment to improve, develop and enhance the quality and professionalism of catering services within Causeway Trust. Not everyone in their working life gets the opportunity to be part of a new build project and Elsa is ever grateful for the experience and personal development opportunity that Causeway Hospital gave her. To say a part of her was in the fabric of the Building would be an understatement! In 2007 as part of the Review of Public Administration, Elsa moved out of the Acute Hospital Sector and took up the position of Community Catering Services Manager for the Northern Health and Social Care Trust. Her new challenge was merging all Community Based Catering Services from three Legacy Trusts into one efficient and effective service, overseeing the catering service of 51 facilities. In 2013 an opportunity arose to apply for the new post of General Manager of Community Catering and Domestic Services within the Northern Health and Social Care Trust. Elsa was successful and embraced this new challenge with great enthusiasm, applying herself to the New World of 'Environmental Cleanliness' while building a Domestic Services Team who deliver a positive Healthcare experience for patients, clients and staff. Elsa’s achievements include HCA Hospital Caterer of the Year in 2004; Runner up in the Institute of Hospitality Northern Ireland for Professionalism; Elsa has twice led her Team to win the BICSC (British Institute of Cleaning Science) Cleaning Operative of the year award and cleaning Supervisor of the year award. Elsa was also part of the Review Guide Working Group (2013) for the HCA publication ‘A Good Practice Guide To Ward Level Services’. In 2015 Elsa was awarded The Wilma Wilkie HCA Outstanding Service Award. Elsa prides herself in her ability to build a Team, empowering staff to make decisions that are customer focused delivering a quality catering/cleaning service to patients, clients and staff. Accountability is high on her Agenda. Like Elsa, her staff enjoy a high level of job satisfaction as she encourages them to take ownership of their service as part of the professional team. Early in her career Elsa joined the Northern Ireland Branch of the HCA and in 1994 she took the role of Honorary Secretary when the late Margaret Bates retired. A hard act to follow but she worked tirelessly to promote the work of the Association thoroughly enjoying the many networking opportunities with her colleagues in other parts of the UK and Catering Management Association in the Republic of Ireland. At the AGM of 2008 she was elected to the role of Branch Chairman taking over from Bernie Grimes and still holds that position. 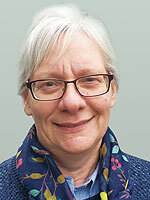 She has also represented the Northern Ireland Branch on the HCA National Executive and Council. Elsa is totally committed to the aims and objectives of the HCA. She is renowned for her 'plain speaking' and was instrumental in securing the support of the Health Minister in advocating membership of the HCA as mandatory for all Catering Managers in the Strategic Framework for the delivery of Health and Social Care Catering Services Northern Ireland . She has also firmly established the Annual Northern Ireland Branch Seminar with many high profile names presenting, including. Andy Jones, Mike Hall, Professor Hugh Pennington, Professor Simon Allison, Caroline Lecko, Neil Rush, Janice Gillan, Paul Cryer, Rick Wilson and Fionnuala Cook. Married to Allen with one daughter, she is a keen gardener and outside of work Elsa has founded and chaired the Causeway McMillan Cancer Support Group organising many fundraising events. Always looking for a new challenge, she joined Ballymena Running Club several years ago and in 2015 completed two half marathons and she is a keen Park Runner every Saturday morning. In conclusion, Elsa is a true professional, an Ambassador for Health Care Catering, well respected by her peers and Trust Senior Management Team for her vision and work ethic. 'Relentlessly Positive' would sum her up very well. 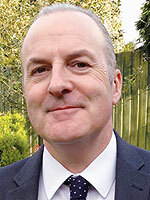 John Compton has worked in the integrated Northern Ireland Health and Social Care system for more than 40 years. After graduating in Social Work he worked in a variety of practitioner posts, principally in family and childcare and mental health for 15 years before moving into senior management. From 2000 until his retirement in 2013 John held posts at Chief Executive level in both providing and commissioning organisations. In this regard he was Chief Executive of the Regional Health and Social Care Board for Northern Ireland from 2008 until 2013. This body had responsibility for the financial management, performance and strategic planning of the Northern Ireland health and social care system, spending some £4.5 billion annually. John’s particular areas of interest and experience are in strategic planning and service redesign, supporting organisations through change and implementing new models of care. In 2011 he was invited by the NI Minister for Health and Social Care to undertake a comprehensive review of the NI system and bring forward proposals for system wide change. The published document, known as ‘Transforming Your Care’, brought forward proposals on how best to shape the direction for prevention, primary and community care services along with acute hospital provision, and it remains a major influence on current policy. These roles gave John extensive experience with public meetings and with the media, with interviews for radio, television and the written press. John was awarded the CBE for Services to Healthcare in Northern Ireland in the 2013 Queen’s Birthday Honour’s List, a great honour indeed. And since his retirement he has continued to have a keen interest in the delivery and development of health and social care, working as a Consultant and commentator. Paul Fenton is a Chartered Engineer, having extensive experience over the last 26 years within the Building Services and Facilities industry in both the public and private sectors, in the UK and European markets. Starting his career with Eastern Electricity he swiftly moved into Facilities Management through the takeover by Texas Utilities (Europe) and was responsible for their building portfolio of around 130 properties which included the UK HQ in London and European HQ in Geneva. After leaving TXU in 2000 he spent a short time in consultancy and then joined Carillion FM working at Colchester as Head of Estates until 2002. Paul is now the Director of Estates and Facilities for Ipswich Hospital NHS Trust and has been with the NHS since 2002, holding senior positions in four acute hospitals and a mental health and community foundation trust in the East of England. These roles included the management of a large first wave PFI acute hospital with a contract value in excess of £45 million per annum and more recently direct responsibility for the management of Estates and Facilities, ICT, Clinical Systems and Procurement Services across a portfolio of 80 Mental Health and Social Care properties in North Essex. Joining Ipswich Hospital in September 2015 he has board responsibility for the Trust’s Estates and Facilities services, it’s capital development programme and delivery of major new construction and refurbishment schemes. He is also responsible for all property and land acquisition and disposals, leases and EFM contracts. He is National Chairman of the Health Estates and Facilities Management Association (HefmA), a Fellow of The Institution of Engineering and Technology (IET), and a member of The Institute of Health Engineering and Estate Management (IHEEM) and the British Institute of Facilities Management (BIFM). Paul is passionate about the Estates and Facilities profession, a keen supporter of innovation and change and firmly believes in delivering high standards of services through developing a proactive and ‘can do’ culture focussed around ‘the customer’. Christine is Regional Lead for 10,000 Voices, a regional initiative commissioned and funded by Health and Social Care Board and the Public Health Agency in Northern Ireland. The overall aims of 10,000 Voices are to improve the patient/client experience and to use the patient’s voice to influence how services are commissioned. Christine has a keen interest in facilitation of learning and development and in improving person centred practices within healthcare. Her previous roles include Nursing Governance Co-ordinator, Practice Development Facilitator and Ward Sister in Haematology/Medicine. 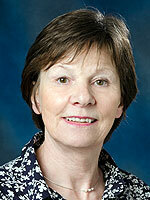 She began her nursing career in 1983; training in general nursing at the Royal Victoria Hospital Belfast. Since qualifying, Christine has completed a Batchelor of Science Degree in Professional Development in Nursing; a Post Graduate Certificate in Lifelong Learning and Facilitation and a Post Graduate Certificate in Education. Patricia McKeown is Regional Secretary of UNISON, the Public Service Union, and one of the most senior trade unionists in Ireland. She is currently Co-Convenor of the Equality Coalition. She was President of the Irish Congress of Trades 2007-09; Chairperson of its Northern Committee 2005-07, and she is former Deputy Chairperson of the Equal Opportunities Commission, Northern Ireland. 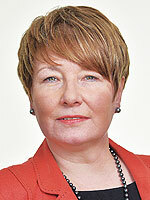 Patricia is an elected member of both the NI Committee and the Executive Council of Irish Congress of Trade Unions. She has recently been appointed as a worker representative for Ireland on the European Economic and Social Committee. Patricia has pioneered a range of partnership initiatives with employers in both the public and private sector, including international initiatives with unions and employers in the U.S. Her union is an outstanding champion of programmes on lifelong learning and continuous professional development and it has pioneered an award-winning jobs project in West Belfast with the Belfast Trust and the West Belfast and Greater Shankill taskforces delivering real jobs in areas of greatest objective need, while developing parallel career opportunities for existing health service workers. 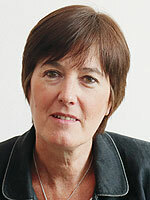 Marie Anderson, Northern Ireland Public Services Ombudsman, is a graduate of Queen’s University, Belfast, and qualified as a solicitor in 1985. After qualifying she worked in private practice for several years in the area of civil litigation. Then Marie joined the Northern Ireland Housing Executive and worked as Legal Assistant and Senior Legal Assistant, over a period totaling 17 years. 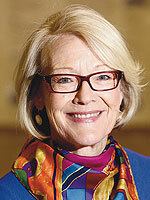 The focus of her work was public, information and human rights law. Marie became the first Assistant Information Commissioner for Northern Ireland in April 2003 and was responsible for setting up the first ever regional office of the Information Commission in Belfast in September 2003. She held this post for 5 years with responsibility for regulating data protection and freedom of information matters in Northern Ireland. During that time Marie was responsible for the investigation of highly sensitive information cases, and for establishing precedent in cases relating to privacy, the law of confidentiality and commercially sensitive information. 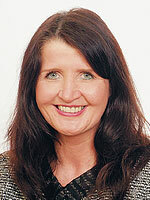 Marie was Deputy Northern Ireland Ombudsman from May 2009 and led the Ombudsman investigations examining complaints of maladministration and alleged breaches of the Local Government Code of Conduct for Councilors. From 2012 to 2016 Marie was Chair of the Ombudsman’s Association Legal Interest Group which comprises 26 lawyers from across the UK and ROI. Marie took up her post as the first Northern Ireland Public Services Ombudsman on 1 April 2016 along with the extended jurisdictions of Northern Ireland Judicial Appointments Ombudsman and Northern Ireland Local Government Commissioner for Complaints. 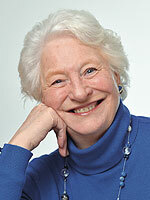 Dame Mary Peters moved to Northern Ireland with her family when she was 11 years old. Northern Ireland has been the home to Mary Peters since she was young. Even today, Mary still lives in Belfast although most of her life she has spent travelling the world, competing and working. Mary has been an inspiration to people throughout Northern Ireland, bringing people together in times of trouble through her sporting triumphs. Mary Peters is a true ambassador for Sport, reaching the pinnacle of sporting effort and achieving the ultimate: an Olympic Gold Medal. In the 1972 Summer Olympics Peters won the gold medal in the women's pentathlon. She represented Northern Ireland at every Commonwealth Games between 1958 and 1974. In these games she won 2 gold medals for the pentathlon, plus a gold and silver medal for the shot put. She was appointed CBE in 1990, having been appointed MBE in 1972. In 2000 she was appointed Dame Commander of the British Empire and in April 2009 was bestowed the Member of the Order of the Companions of Honour (CH) in the 2015 New Year Honours list. She was Lord Lieutenant of the City of Belfast and served until her 75th birthday when all Lord Lieutenant’s are given mandatory retirement. 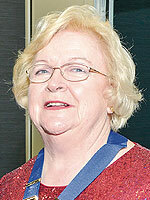 She received the Freedom of both the City of Belfast and the City of Lisburn. Northern Ireland's premier athletics track on the outskirts of Belfast is called the Mary Peters Track in her honour. Dame Mary now spends most of her time helping young sports men and women to achieve their dreams, supporting them through her charity, The Mary Peters Trust. Mary was selected as one of 27 Olympic athletes chosen by the British Olympic Association to be Ambassadors for Team GB 2012. As an official London 2012 Ambassador, Mary was an integral part of Team GB prior to and during the Olympic Games. She helped British athletes and the wider Team GB to achieve Olympic success, and in doing so, serves as a source of inspiration and motivation for the 60 million Team GB fans across the UK. And in 2014, Mary was selected as an Ambassador for the Glasgow Commonwealth Games by Games Sponsor SSE. Tony O’Hara has been employed within the NHS Catering service for more than 30 years. He is currently employed as a Support Services Manager with responsibility for catering services across 3 hospital sites within the Belfast Health and Social Care Trust. He began his career as a Holiday Relief Cook and has held many positions including Head Cook, Hotel Services Supervisor and Training and Quality Development Officer. Tony left school with no formal qualifications and during his employment has acquired many management skills such as problem solving, negotiation, partnership working, service reviews and budgetary management as well as achieving a Post Graduate Diploma in Health and Social Services Management and a Masters in Public Administration. Tony describes himself as methodical with a keen interest in HACCP, micro-sampling and staff training. 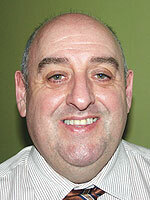 He is presently the Northern Ireland Branch Secretary and Tony is married with two grown up children. Roy Lilley is a businessman with over 40 years experience.He started his first enterprise from scratch, built it to a multi-million pound turnover and sold it to management and partners in 1989. He is now an established, independent health policy analyst, writer, broadcaster and commentator on health and social issues. Previously, a Visiting Fellow at the Management School, Imperial College London. Formerly at the Centre for Health Services Management at the University of Nottingham. He also provides consultancy to NHS organisations and the companies that have services and products for the health service. He has, twice, been voted top UK speaker on NHS topics. He is the creator of the top selling ‘Tool-Kit’ series of books. He was the vice-chairman of West Surrey and North East Hampshire Health Authority and formerly a member of Surrey Heath Borough Council holding the position of Mayor in 1988/89. Between 1991 and 1995, Roy was the chairman of the Homewood NHS Trust, Chertsey Surrey, a first wave Trust with responsibility for People with a Learning Disability and Mental Health problems. Homewood is the only health provider in the world to have achieved British Standard 5750 for the whole of its services and the first NHS Trust to have achieved the coveted Investors in People Award for the whole of its human resource and training policies. It was the only NHS establishment to have a ‘no-strike’ deal with its staff. 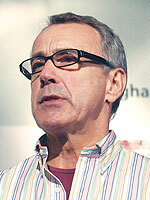 Roy Lilley was a founder member of the NHS Trust Federation and held the positions of Chairman of the Supplies and Purchasing Standing Committee and Chairmanship of the Standing Committee on HR Issues. He has been a member of the NHS Steering Group on women’s issues and a member of the NHS Training Executive’s Group on training Boards and Non-Executive Directors. Roy is a frequent broadcaster and writer on health, current affairs and social issues and speaks at conferences and seminars throughout the UK and overseas. He has contributed to the Today Programme, Newsnight, the Midnight Hour, BBC News 24, BBC 5 Live, Channel 5 News, Sky, ITN and regional TV and radio programmes. He has written for the Guardian, Sunday Times, Telegraph and many national newspapers, journals and management periodicals including a regular column in Pharmaceutical Marketing magazine. 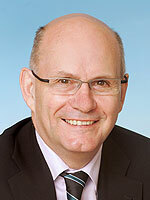 He is the author of over twenty books on health and health service management. He was appointed a Trustee of the Patient Choice initiative. 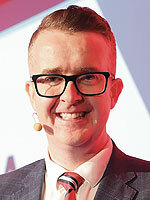 He was voted the top UK speaker in the Partnerships for Healthcare speaker survey. He has been a guest speaker on management and related subjects at the Civil Service College, Sunningdale. He is a Freeman of the City of London, a Fellow of the Institute of Directors and a Fellow of the Royal Society of Arts. Roy has held a variety of positions with clubs and societies, including: the Surrey Heath Group of the British Heart Foundation; Mencap and the Savoy Singers; President of the Frimley & Camberley St John’s Ambulance Cadets and formerly a trustee of the Surrey Heath Archaeology and Heritage Trust, and he's a member of the Variety Club of Great Britain. In November 2004 he was made a Companion of the Institute of Healthcare management for his ‘outstanding contribution’ to healthcare management. He is a guitarist and magician and often uses these talents in his presentations! In 2005 he started ballroom dancing and has a bronze medal in ballroom and Latin American dancing. In 2015 Roy founded the Academy of Fabulous Stuff – a non-profit organisation dedicated to sharing all the fabulous things about the NHS. The Academy works as a collaboration to ensure best practice examples, great ideas and service solutions are available to all. Alison is the Director of Estates and Facilities at County Durham and Darlington NHS Foundation Trust, and she is recognised as an experienced healthcare professional with a proven track record of sustained innovation and achievement in the delivery of Facilities Management Services. She has more than 30 years NHS experience and has held a number of management positions, starting her career as a national catering trainee. Her day-to-day responsibilities include the leadership of 500 staff, delivering a range of Estates and Facilities Services across eight hospital sites and a number of community premises. Alison also has responsibility for the management of 3 PFI contracts that provide Estates and Facilities on 3 separate sites. Over the years Alison has been involved in a number of national strategic projects to improve the patient’s journey and experience within the NHS and is currently involved with the development of an Operated Healthcare Facility which will change the way in which Estates and Facilities will be managed and delivered across County Durham and Darlington Hospitals. The inspiration to make the 'Last 9 yards' the focus in patient catering is a challenge that I have thoroughly enjoyed, as well as linking with our clinical partners and fellow associations to raise the bar to the highest level possible. A focus on collaboration and partnership working enables the association to be in a strong position in improving the recovery of our patients through the recovery of nutritious food. Phil is a Facilities Manager for Musgrove Park Hospital with Taunton & Somerset NHS Foundation Trust. He is responsible for the commercial aspects of the Trust with a focus on Patient and Retail Catering, Car Parking, Portering and Travel, as well as being the operational lead for Waste. Phil’s development within the Trust has been exciting, moving from Head Chef to Catering Services Manager and now Facilities Manager. Olive MacLeod joined the Regulation and Quality Improvement Authority (RQIA) as Chief Executive on 1 July 2016. Olive qualified as a registered general nurse at St Vincent’s Hospital, Dublin and a registered midwife at the Lanarkshire School of Midwifery, Scotland. She spent 14 years in Canada working at Mount Sinai Hospital, Toronto, and Kingston General Hospital, as an obstetric nurse, nurse lead and clinical educator. In 1997 she joined the Mater Hospital, Belfast, as a staff midwife and worked in a number of roles including Assistant Director of Nursing at the hospital. From 2007, Olive was the Co-Director of Nursing at the Belfast Health and Social Care Trust, with responsibility for governance, performance and standards. Prior to her appointment to RQIA, Olive MacLeod was Director of Nursing and User Experience at the Northern Health and Social Care Trust. 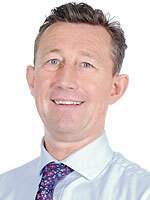 Paul Coulson is Head of Catering, East Kent Hospitals. Paul has been with Serco for just over four years, working as the Head of Catering for East Kent Hospitals for nearly three years, and prior to this, Paul was Catering Manager. Before joining Serco Paul worked in various catering locations with companies in the Education and Retail sectors in high growth environments. 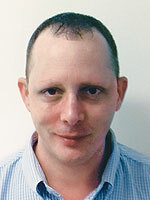 In his current role Paul is responsible for both Patient and Retail catering within three large hospitals in East Kent. This encompasses, Delivering accurate and timely information – Reporting financial information on a weekly basis; Identifying & developing new initiatives – Introducing regular incentives to drive performance and sales; Driving business performance – Creating and sustaining a culture of continuous improvement measured by margin improvements, cash collection and overall growth, and Ensuring a high quality patient Service – Developing and monitoring the patient dining experience through regular feedback and meetings with our catering group. Outside of work Paul enjoys sport; he still manages to play a bit of football and also coaches football for Dover Athletic Youth section, and he loves spending time with his family. 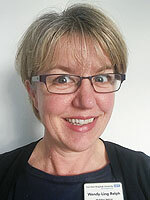 Wendy-Ling Relph is Matron for Nutrition at East Kent Hospitals University NHS Foundation Trust. As part of this role, she works closely with the Medical, Dietetic, Pharmacy, Speech & Language and Catering leads to ensure that patients receive the right nutrition for them at the right time. A number of patients require artificial nutrition in the form of enteral tube feeds or intravenous feeds which involves the clinical expertise of the whole team. However, like the general population, the majority of patients eat and drink so it is also important as a nutrition nurse to also work closely with the Facilities Teams and the Trust Catering Providers. The close partnership working between the Trust and Serco has ensured a dynamic and high quality service for patients. Wendy is passionate about ensuring patients are at the centre of the care provided and it is this ethos which led to the catering service at East Kent Hospitals receiving The 6Cs Award from the Hospital Caterers Association. Wendy is on the National Executive of BAPEN (British Association of Parenteral and Enteral Nutrition) which raises awareness of malnutrition and works to advance the nutritional care of patients both in hospital and those at risk from malnutrition in the wider community. Wendy has been involved in the NHS England Improving Hospital Food Project, the Malnutrition Taskforce for England and implementing the Nutritional Care Audit Tool for hospital patients and nursing home residents. She is aware of the need to not just care for patients but the staff we work with too. As part of this, Wendy is leading within East Kent on the implementation of the catering aspects of the 2016-19 Health and Wellbeing CQUIN. Wendy is also a member of the Last 9 Yards Group led by the Hospital Caterers Association. As part of her ongoing work to strive for excellent patient mealtime experience, she is leading on a Mealtime Matters Improvement Project within East Kent Hospitals University Foundation Trust. This will measure the impact of each improvement upon the patient care and experience. David Meade is a trainer, facilitator, broadcaster, researcher, and international speaker. He’s worked with organisations that include Apple, PwC, Harvard in Boston, the Cabinet Office in Westminster, Bombardier and the Bank of America, with whom he works on improving the way they work and perform through comprehensive management, leadership, and operational development programmes. David is a first class honours graduate from Ulster University’s School of International Business. His work as a lecturer and award winning researcher in business and strategy with one of Ireland's leading Universities has built his reputation as one of Europe’s most sought after organisational facilitators. David’s personal interests have always focused on aspects of organisational psychology, consumer behaviour and choice, and by combining these professional and personal passions with his dynamic and engaging presentation style, David has become known for an innovative style that forces audiences to think critically about the challenges around them. More than 85 per cent of his diary is spent working at the executive level on motivating and inspiring some of the largest and most diverse organisations to work more effectively. He cultivates decades of cutting edge research into management, organisations, and leadership to build scientifically sound and evidence based development programs that create demonstrable improvements in even the largest companies. David receives continued acclaim from clients that recognise the strong business value he offers organisations. The session at the HCA L&D Forum will be built around the agreed aims, and designed to encourage delegates to explore their individual and team contributions towards the HCA's operation and its activities. Using a broad approach attendees will be empowered with a toolkit that they can use immediately in their role, irrespective of hierarchical level, that can make fundamental changes to how they see the Association and their role in it. By the end of the presentation, the participants will feel excited and enthused about the opportunities that the future offers the individuals and teams that comprise it. They will also feel stimulated to meaningfully engage in the future development of their organisation.